No te pierdas mi nueva lista "Always Summer" hecha para disfrutarla. 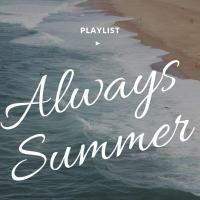 Don't miss my new playlist "Always Summer", made for all the music Lovers. Enjoy it!.